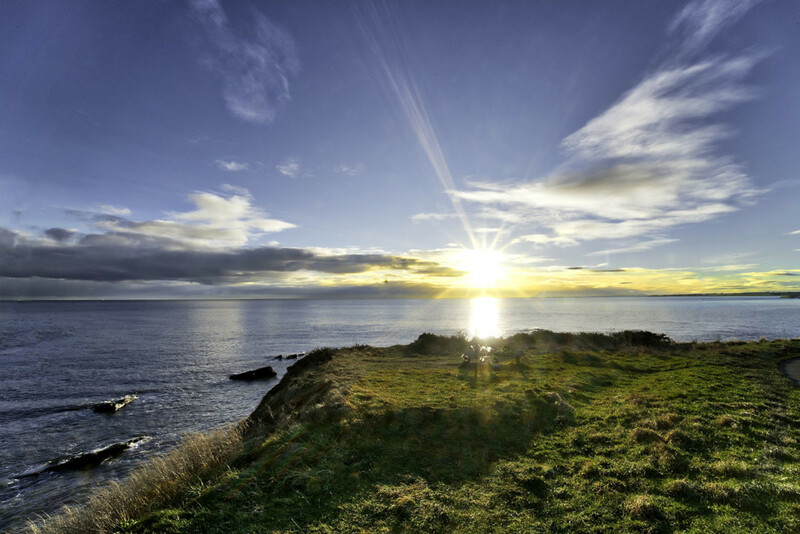 If you are driving the coast North after Edinburgh, the first cliffs you encounter are near Dundee. They have a height at about 30 m / 100 ft and have all ingredients for a walking tour where you can see the waves breaking on the rocks. Try to reach that location at the golden hour, to get the sunset shots with the warm feeling before the evening comes.